Turkish Cypriot leader Mustafa Akinci snubbed a football match Tuesday aimed at fostering dialogue on the divided island, in a row over where the game was played. "It was not possible for us to take part after it had no longer any links to the principles put forward in advance," Akinci told journalists. 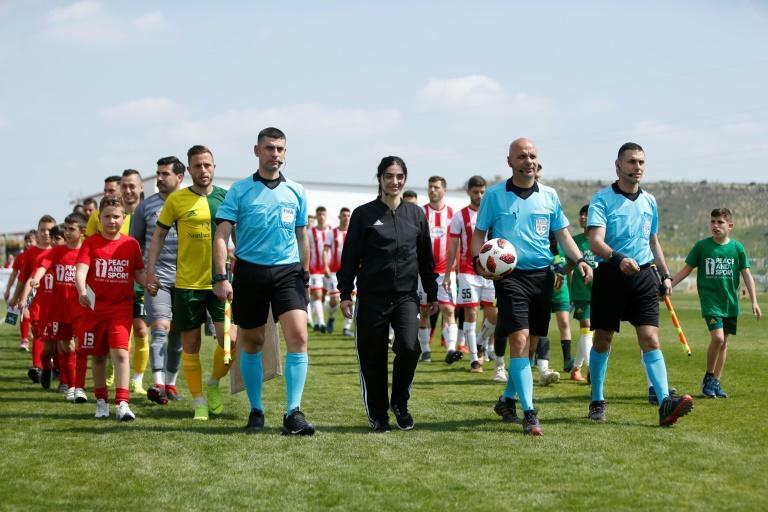 The match between Cypriot club Nea Salamina Ammochostou and Magusa Turk Gucu, from the breakaway north, kicked off in the mixed village of Pyla. The village sits in the UN-patrolled buffer zone and spreads into Cypriot territory to the south, where the football game was held. "In the buffer region, it would be equal... but this development created a new situation," Akinci said. He added that he was not in principle against going to joint events across the border, but only if such events were also held in the north. The match was attended by Cypriot President Nicos Anastasiades, who declined to comment on the absence of the Turkish Cypriot leader. "We can remember the good old days when our teams did not have any trouble playing each other and I wish to experience those good old times as soon as possible," he told journalists. Cyprus has been divided since 1974 when Turkish troops invaded and occupied the northern third of the island in response to a Greek military junta-sponsored coup. Akinci and Anastasiades met in the buffer zone last month for informal talks, but no date has been set for resuming peace talks which collapsed in 2017. Aleem Siddique, spokesman for the United Nations peacekeeping force on the island, said there were hopes "they're going to resume negotiations soon". He saw events such as the football match -- which was goalless at full time -- as a key part in the broader peace efforts. "It is important in helping to overcome mistrust, lack of understanding on this divided island and bring them closer together and create conducive conditions for the peace process," he told AFP.